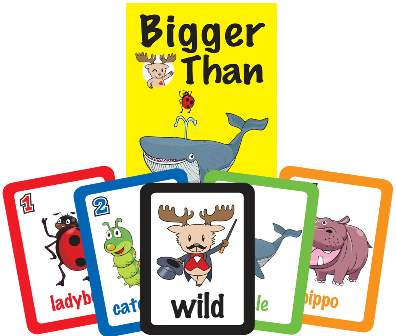 Bigger Than...a fun new game that will get your students using English naturally. Besides learning animals, the main focus of the game is teaching comparatives. Based on a traditional Japanese game, the rule of play is very simple to understand. Your students will NEVER get tired of this game! The cards can also be used to play a variety of other card games.